News > Pope Francis chooses humble Fiat over luxury limousine! 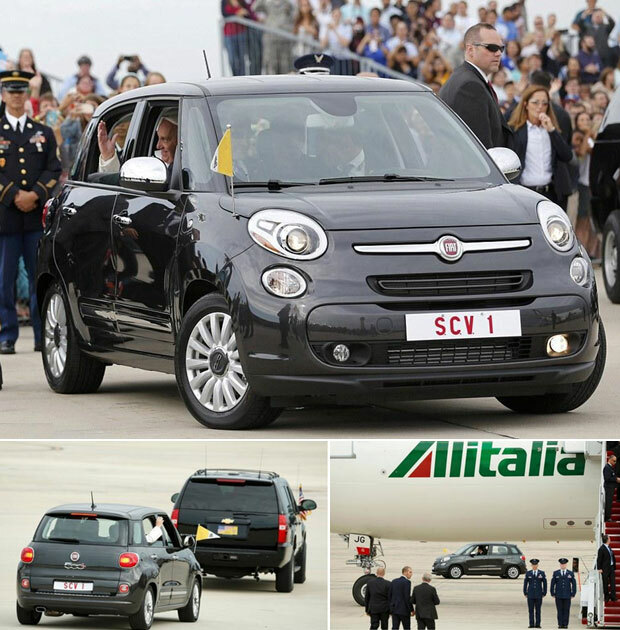 When Pope Francis arrived in the US recently, on request, the Pope chose a Fiat over a limo to be shuttled to his accommodation. 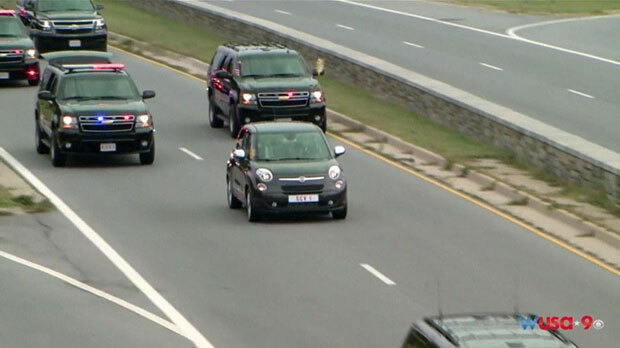 He then arrived at the White House in the Fiat 500L and used it while travelling around town (accompanied with a motorcade of course). The Pope seems to have made quite a statement choosing a humbling Fiat but his switch over to his tricked out Jeep Wrangler is what’s making the headlines. As opposed to previous “Pope-mobiles” that are closed off on all sides with protective bulletproof glass, due to assassination attempts, Pope Francis felt it confined him too much, making him feel like he was in ‘a sardine can’. The modified Jeep now only sports a bullet-proof roof. The ‘people’s Pope’ could now interact with the crowds through the streets of Washington and Philadelphia. The safety of the Jeep Wrangler and exceptional handling, allowed for a comfortable slow and steady progression through the streets. 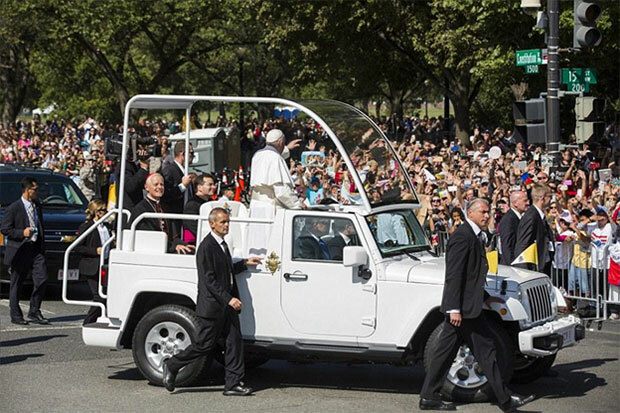 But if something suddenly changed and the Pope needed to get away, there is no doubt that the Jeep Wrangler could handle the job! After the day’s processioning of waving to the thousands of onlookers, blessings and greetings - the humble and modest pontiff then popped back in his Fiat 500L (that seemed dwarfed by his motorcade vehicles) and travelled back in style. There’s a reason so many drivers choose the Fiat 500and the Jeep Wrangler – for more information and our latest Fiat and Jeep deals – contact us today!